With the outbreak of “World War Bee”, a flood of new and returning players are joining EVE Online. The player-driven history of EVE is one of the game’s most powerful attractions, but even resubbing veteran players may be surprised to learn how much the backstory of New Eden has evolved as well, especially recently, which has seen some truly momentous lore events. Additionally Fanfest rapidly approaches, and CCP has let known their intent to give a strong lore focus to the event. Also, in game events such as Operation Frostline, and the Crimson Harvest has brought the various factions of New Eden into the limelight in new and dynamic ways. In other words, the lore of EVE Online is now more interesting, and relevant than ever. In fact, many aspects of the current war in the north have been affected in profound ways by lore events, such as the introduction of the Entosis Link, derived from Drifter technology. This ship module is now a key aspect of Aegis sovereignty mechanics, and the current conflict in the northern regions would have been impossible without it. If you’ve been away from EVE for a while, or you just haven’t been paying attention, let’s recap the most significant recent events in New Eden’s ever unfolding lore, and speculate a bit about what it may hold for the future. August 21, YC 117 is a date that shall live in infamy. 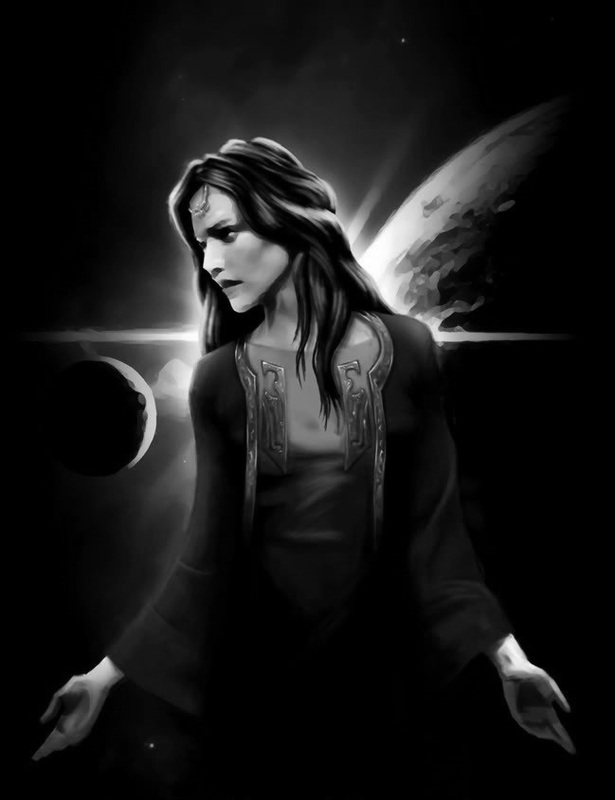 The Amarr Empress, her royal highness Jamyl Sarum, was attacked and killed by the mysterious Drifter forces. She had been in the process of giving a moving speech at the official handoff ceremony for the newest flagship of the Amarr Navy: the TES Auctoritas. Shortly thereafter, a full scale invasion began by the Drifters, specifically targeting Amarr space. Although the Amarr did press for assistance, the other three empires were reluctant to provide support. While this was ongoing, the pursuit for a new monarch was underway. In accordance to ancient Amarr tradition, the new leader would be chosen from among the heirs of the great noble houses in what is known as “The Succession Trials”. From these trials ultimately one winner will emerge, and the losers must commit ritual suicide, a rite known as “Shathol’Syn”. This time, the Theology Council, the religious arbitrators of the Amarr, opted to have the trial conducted by proxy via Capsuleer tournament. Early in the Trials, two events occurred that were out of the ordinary. First, the former heir King Khanid was allowed to once again contend for the throne of Amarr. Khanid was a particularly controversial figure, as he hosted his own rebellion the last time he lost the Succession Trial, just over 300 years ago. Secondly, the fanatical Order of St. Tetrimon was also once again allowed within the Empire, and is “responsible for ensuring the security of the sequestration”. To put it another way, they are the jailors for the heirs now condemned to die. After several weeks of competition, four houses were eliminated, and two remain. House Kor-Azor, and house Tash Murkon will now send their champions to the final tournament later this month. Meanwhile, light years away, Society of Conscious Thought leader Matshi Raish was attempting to deal with all that had been revealed to him. One month prior, at an earlier speech given by the now late Empress, Matashi had managed to scan Jamyl’s mind prior to being destroyed by the combined might of the Amarr Navy and Capsuleer forces. He had discovered what was only known by Jamyl and her most trusted advisors: Jamyl was not alone in her own mind. A second consciousness, an artificial intelligence born out of the Sleepers artificial reality construct had somehow infected Jamyl’s mind. However, in spite of how horrifying that revelation was, Matshi was soon to learn it was not nearly as important as what was to come. His old friend, the Jovian Veniel had come out of hiding to explain to him of an impending disaster. As it turns out, the Jove had long ago discovered a magnificent structure created by a race even older and more technologically superior to the Jove. This race, known as the Talocan, had constructed a lattice around a star, using the power siphoned off to warp space-time, punching holes in the very fabric of space to link distant solar systems together via wormholes. However, the years have been hard on the W477-P system, and on March 10th, YC 111 the unmitigated space-time disaster known as the Seyllin Incident disrupted the entire network. Not only did it allow the wormholes to now randomly appear and link to the rest of New Eden, but also it discharged untold energy into the star, causing it to go critical. Finally, on September 25, YC116 the star gave way, exploding in such a spectacular way that it was simultaneously visible throughout New Eden. This explosion was the event now known to us as “Caroline’s Star”. Additionally, Veniel revealed that, due to this disaster, the Jove Directorate had left New Eden, leaving behind a mere one hundred members, Veniel included, and that the authority and legacy of the Third Jove Empire was being transferred to the Society of Conscious Thought. The SOCT now occupies the seat at the CONCORD Inner Circle that was previously reserved for the Jove representative. Elsewhere in the galaxy, business deals were being finalized. Years ago, Yani Sar Arteu turned the O.R.E. mining company into an corporation competitive on a galactic scale. However, nearly a decade ago, he saw his company taken over by the Serpentis. For years, he has planned to seek his revenge and regain control of his organization. 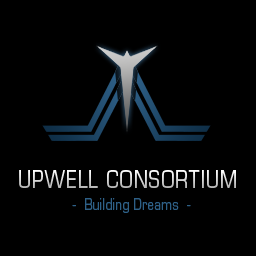 With this new venture, named “Upwell Consortium”, he pulled together some lower-level corporations from all four empires to create a business constructing superstructures designed for use by the new rising power: the Capsuleers. Upwell quickly gained steam, as well as wealth, as they announced their first project: Citadels. These monolithic structures are designed to cater to the increased wealth and power of the various Capsuleer power blocs. However, wealth was not their only goal, as Upwell soon acquired the O.R.E. corporation, simultaneously launching a harrowing attack on all Serpentis forces occupying the O.R.E. facilities. 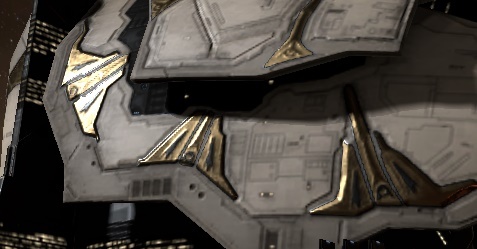 Unsatisfied with the damage dealt to the Serpentis, Upwell broadcasted the secret location of thousands of Serpentis facilities throughout New Eden, openly bribing capsuleers to do untold damage to their enemy. All the while, Upwell continues to gain additional corporations, wealth, and power. Most recently, Upwell once again called upon capsuleers to hunt through Serpentis wreckage and bring any research components, turning it into a kind of raffle for the pilots. 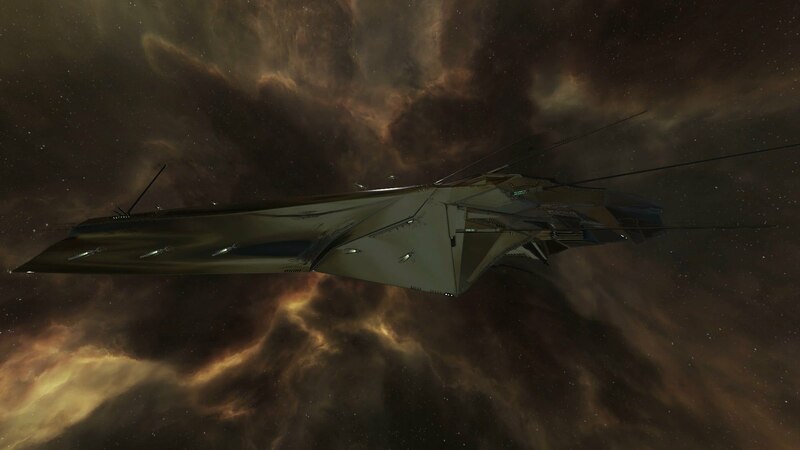 Upwells first major offerings – the Astrahus, Fortizar, and Keepstar Citadels – are set to be released to the public on the 27th of this month, three days after the finals for the Succession Trials. Finally, the Drifter forces continue to do their work both in the known regions of space, and in their headquarters, which can only be accessed through their “Unidentified Wormholes”. Courageous explorers have conducted operations within the Drifter borders, and the Arataka Research Consortium has conducted nearly weekly operations within the various hive structures found within. As mysteriously as they had started, the Drifter Incursions into Amarr space ceased. No one knows why, but many speculate that the operations of the Sisters of EVE, and the capsuleers in the Drifter home systems has convinced them to retreat for now. However, the Drifter forces are not behaving in any way like they have been defeated, as they go about their mission collecting pieces of the ancient “Jove Observatories”. Over time, the hive structures have changed. Perhaps the repeated dismantling of the Hives gates safeguards have caused them to fail once and for all, as all of the gates within the Hives are now unlocked, allowing for much easier entrance for explorers. Within these fortresses waits Hikanta Tyrannos, a stronger form than either of the more mobile Drifters we see in known space. Defeating these guards will allow you to get an item known as an Index, which unlocks one of the Vaults within the hive. However, the Index held by Hikanta always unlocks a different hive Vault. Within these vaults are the Elements. Collecting all five elements allows you to construct a Coalesced Element, the use of which remains a complete mystery. Additionally, a final gate leads to an area where the Drifters have been constructing something (spoiler: it is probably a Stargate). Capsuleers have begun hacking the systems within discovering a 0 and 1 Sequence that can be inserted into the repository. Although there is a reward for doing such actions in the form of Drifter drugs, it’s ultimate purpose also remains unknown. And that brings us up to the present day, with the huge capsuleer war now playing out in the northern null-sec regions. While everyone is focused today on World War Bee, the recent events in the lore suggest that much more is simmering just out of our view. Many people coming to EVE do so to make their mark on the Universe, and more than ever the unfolding story of the EVE Universe offers opportunities to do just that.